Born September 24, 1932 to Homer and Alice Fair in Los Angeles,California. Raised in Los Angeles, Burbank and Kettleman Hills,California and attended Burbank and University High Schools, University of Washington and The Burnley Art School of Seattle. 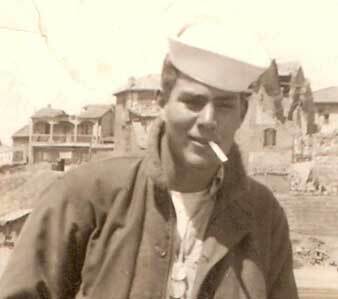 He served his country as a naval landing craft Cox'n aboard USS Skagit during the Korean War. 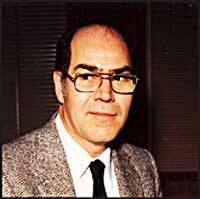 After completing his service he moved to Seattle, Washington where John worked as commercial artist for Boeing, he was awarded their Computer Services "employee of the year" in 1986. He also owned and operated Master Studio, an independent graphics and art studio. He passed away on May 29th, 2008 after a long battle with emphysema. John is survived by his wife Kyoko (Kay) Fair, his sons Jeff Fair, John A. Fair II, Kelly Fair, his stepchildren Warren Anderson, Wayne Anderson, Ivan Anderson, Kevin Anderson, Ilene Waugh, grandchildren Tarrin Fair, Isolde Fair,Casandra Anderson, Jacob Waugh, Joshua Waugh, Jared Anderson and his beloved Weimaraner Icihro. Memorial services will be held at Purdy & Walters, Floral Hills in Lynnwood at 11:00 a.m., Sunday June 15, 2008. There will also be a celebration of John's life for friends and family following the memorial at his Edmonds home. In lieu of flowers, John's family requests that donations be made to tobaccofreekids.org in John's name. For his service in the Navy during the Korean War, John earned the National Defense, China Service, Korean Service with two Stars, and the United Nations Service Medals.